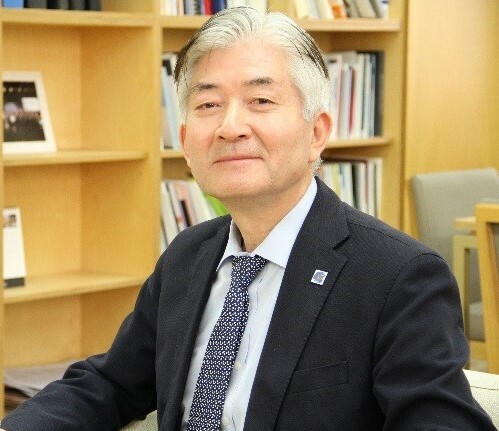 In this lecture, Mr Lee Jong-heon, Secretary-General of the Trilateral Cooperation Secretariat (TCS), will explore the role and value of trilateral cooperation among China, Japan and the Republic of Korea against the backdrop of rapidly changing geopolitical circumstances in Northeast Asia. By examining the development of trilateral cooperation and institutional implication of establishing a permanent secretariat, namely the TCS, Mr. Lee will demonstrate that trilateral cooperation is more than a sum of three bilateral relations at its core as it strives to contribute to the realization of peace, stability and prosperity in the wider region. He will also touch upon the latest Trilateral Summit held on 9 May 2018 in Tokyo, Japan. Furthermore, the lecture will look at trilateral cooperation as a part of the complex web of cooperative frameworks in East Asia, centering on the ASEAN+3 (APT) cooperation. With the Trilateral Summit originating from the Leaders’ breakfast meeting on the occasion of the APT Summit in 1999, trilateral cooperation is playing a part in creating regional public goods in functional areas and building the East Asia Economic Community by 2020. The APT Leaders have, in particular, asked the TCS and ASEAN partners to work together, as expressed in the Manila Declaration on the 20th Anniversary of APT Cooperation. Lastly, the potentials and challenges for trilateral cooperation and future outlook for regional cooperation in East Asia will be discussed. Lee Jong-heon is a man of curiosity and has maintained strong enthusiasm and aspiration for the peace, stability and prosperity in Northeast Asia for a considerable time, which led him to join the Ministry of Foreign Affairs in 1988 at a rather late age after he graduated from the College of Law at the Seoul National University in 1982. In 2003 he was designated as a member of the Presidential Transition Committee for Foreign and Security Affairs. One of the three important strategic goals pursued by the ROH Mu-hyun Administration was the establishment of Peace and Prosperity in Northeast Asia. He served as Senior Director of the National Security Council (Strategic Planning Department) and as well as at the Office of the President (Protocol). He had also been posted as a senior diplomat to various continents including Europe, North America, South America and Africa while keeping an interest in regional cooperation and integration widely from a global perspective. His current focus is to institutionalize the existing Trilateral Cooperation among the three countries in a more efficient and productive way as well as to strengthen inter-connectivity between the regions including Asia and Europe. From 2013 to 2017, Mr Lee served as Deputy Secretary-General of the Trilateral Cooperation Secretariat (TCS) and became Secretary-General of the TCS in September 2017.